We would love to hear from you and see how we can help you be part of one of our amazing trips. Click the button below to see how you can prepare for the trip of a lifetime! Click here to Read about each LIFE Ministry and Pick Your Camp! Click here to learn How to Plan Your Trip! Eric Murphy has lived and served in Europe for more than 25 years. When he started the first youth camp in Hungary he used sports and teaching English as a way to draw young people together. He invited top sports coaches to give one or two weeks of their time to train athletes. Eric asked Americans to come over to teach English to young people who wanted to learn a second language. And, he needed skilled workers … carpenters, painters, plumbers, electricians, etc., to help him renovate our facilities. Quickly, Eric realized that a fantastic avenue of ministry was for families to come from the States and other countries. The father helps with the renovation or teach English while the mother teaches English. The older teens in the family help with sports or with English while the younger children either participate in camp or play. Vacations with a purpose! ​The gospel is the singularly most important communication of God to man, and as followers of Jesus, we get to be part of spreading His love and the Good News of the forgiveness He came to give to anyone and everyone that would receive it. How amazing would it be to spend your vacation telling the world about this free gift of eternal salvation through Jesus Christ? The gospel is the singularly most important communication of God to man, and as followers of Jesus, we get to be part of spreading His love and the Good News of the forgiveness He came to give to anyone and everyone that would receive it. How amazing would it be to spend your vacation telling the world about this free gift of eternal salvation through Jesus Christ? God sent us Jesus, His Son, so that we have the revelation of God’s love and sacrifice that saves us from God's righteous judgment. Without the forgiveness of Jesus, we would not have a way a way to get to God. The Bible says that we are all sinners (Rom. 3:23). This means that we have all offended God. We have all broken His laws and are therefore guilty. Because of this, we are separated from God (Isaiah 59:2), are dead in our sins (Rom. 6:23; Eph. 2:3), cannot come to God on our own apart from Jesus (Rom. 3:10-11). Without the forgiveness that can only come through Jesus we would suffer through eternity apart from Him in a place called Hell (2 Thess. 1:9). The only way to escape this judgment is by receiving Christ. The way you receive Christ is by trusting in what Jesus did on the cross (John 14:6; Acts 4:12; 1 Pet. 2:24). Since we are sinners, we are incapable of removing the guilt of our sinfulness through our own efforts. In other words, we can’t become righteous by what we do. Why? Because we are dead in our sins (Eph. 2:3). This means that since we cannot remove our own sins. God must do it. But because He loves us, He allows us to choose Him and His forgiveness. Jesus, who is God in flesh (John 1:1, 14; 8:58; Col. 2:9), bore our sins in His body on the cross (1 Pet. 2:24). He died in our place. He paid the penalty of breaking the Law of God that should have fallen upon us. He satisfied the law of God the Father by dying on the cross. If you desire the peace of knowing that your eternity will be spent with your heavenly Father (who loves you and desires to love you, have you know Him and experience true joy), then you must realize that you have sinned against God. Once you recognize your need for forgiveness, you simply have to look to Jesus who died on the cross and trust what he did in order for you to be forgiven, and ask Jesus to forgive you. This is a huge step of faith towards a loving God who desires to have you know Him. He loves you. He created you. He knows everything about you. Take the time to know Him. 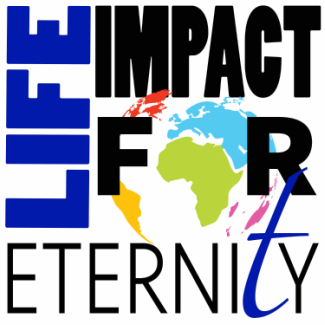 If you have any questions about knowing Jesus, please reach out to Life Impact for Eternity. We would love to talk to you about the forgiveness and peace that can only come through Jesus. Please use the form below to contact us. Want to know more about accepting Jesus as your personal Savior?